THE AGREEMENT: The use of this website and services on this website provided by The School of Witchery, LLC AKA TIERRA SAGRADA (hereinafter referred to as "Company") are subject to the following Terms & Conditions (hereinafter the "Agreement"), all parts and sub-parts of which are specifically incorporated by reference here. This Agreement shall govern the use of all pages on this website (hereinafter collectively referred to as "Website") and any services provided by or on this Website ("Services"). a) Company, Us, We: The Company, as the creator, operator, and publisher of the Website, makes the Website, and certain Services on it, available to users. The School of Witchery, LLC, Company, Us, We, Our, Ours and other first-person pronouns will refer to the Company, as well as all employees and affiliates of the Company. You agree to ensure payment for any items You may purchase from Us, and You acknowledge and affirm that prices are subject to change. When purchasing a physical good, You agree to provide Us with a valid email and shipping address, as well as valid billing information. We reserve the right to reject or cancel an order for any reason, including errors or omissions in the information that You provide to us. If We do so after payment has been processed, We will issue a refund to You in the amount of the purchase price. We also may request additional information from You prior to confirming a sale, and We reserve the right to place any additional restrictions on the sale of any of Our products. You agree to ensure payment for any items You may purchase from Us, and You acknowledge and affirm that prices are subject to change. For the sale of physical products, We may preauthorize Your credit or debit card at the time You place the order, or We may simply charge Your card upon shipment. You agree to monitor Your method of payment. Shipment costs and dates are subject to change from the costs and dates that You are quoted due to unforeseen circumstances. 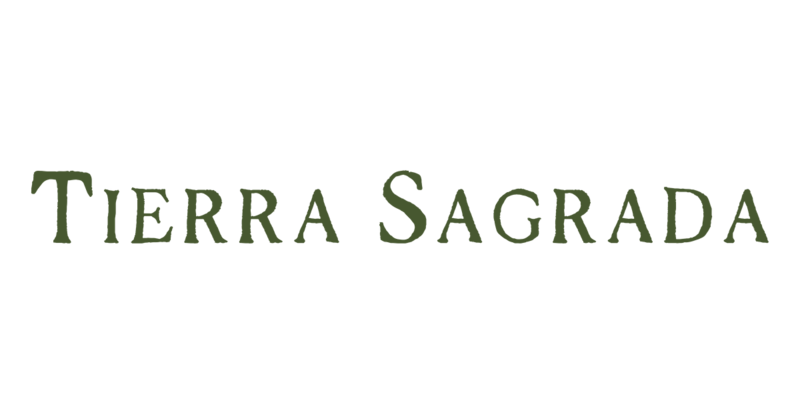 For any questions, concerns, or disputes, You agree to contact Us in a timely manner at the following: support@tierrasagrada.co. If You are unhappy with your purchase, you have up to 3 days from the date of your INITIAL enrollment to cancel. After that time, you are committed to the full term of your enrollment plan (either 6 months or 1 year). Your plan will automatically be renewed once your term is complete unless you request to cancel. You are given a 1 week grace period prior to your auto-renewal to cancel. Cancellations will not be given once your plan auto-renews. Cancellation is your responsibility. To cancel, do so by emailing support@tierrasagrada.co. You agree that Your use of the Website and Services is at Your sole and exclusive risk and that any Services provided by Us are on an "As Is" basis. The Company hereby expressly disclaims any and all express or implied warranties of any kind, including, but not limited to the implied warranty of fitness for a particular purpose and the implied warranty of merchantability. The Company makes no warranties that the Website or Services will meet Your needs or that the Website or Services will be uninterrupted, error- free, or secure. The Company also makes no warranties as to the reliability or accuracy of any information on the Website or obtained through the Services. You agree that any damage that may occur to You, through Your computer system, or as a result of loss of Your data from Your use of the Website or Services is Your sole responsibility and that the Company is not liable for any such damage or loss. b) JURISDICTION, VENUE & CHOICE OF LAW: Through Your use of the Website or Services, You agree that the laws of the State of New Jersey shall govern any matter or dispute relating to or arising out of this Agreement, as well as any dispute of any kind that may arise between You and the Company, with the exception of its conflict of law provisions. In case any litigation specifically permitted under this Agreement is initiated, the Parties agree to submit to the personal jurisdiction of the state and federal courts of the following county: Jersey City, New Jersey. The Parties agree that this choice of law, venue, and jurisdiction provision is not permissive, but rather mandatory in nature. You hereby waive the right to any objection of venue, including assertion of the doctrine of forum non conveniens or similar doctrine. c) ARBITRATION: In case of a dispute between the Parties relating to or arising out of this Agreement, the Parties shall first attempt to resolve the dispute personally and in good faith. If these personal resolution attempts fail, the Parties shall then submit the dispute to binding arbitration. The arbitration shall be conducted in the following county: Jersey City. The arbitration shall be conducted by a single arbitrator, and such arbitrator shall have no authority to add Parties, vary the provisions of this Agreement, award punitive damages, or certify a class. The arbitrator shall be bound by applicable and governing Federal law as well as the law of the following state: New Jersey. Each Party shall pay their own costs and fees. Claims necessitating arbitration under this section include, but are not limited to: contract claims, tort claims, claims based on Federal and state law, and claims based on local laws, ordinances, statutes or regulations. Intellectual property claims by the Company will not be subject to arbitration and may, as an exception to this sub-part, be litigated. The Parties, in agreement with this sub-part of this Agreement, waive any rights they may have to a jury trial in regard to arbitral claims. j) ELECTRONIC COMMUNICATIONS PERMITTED: Electronic communications are permitted to both Parties under this Agreement, including e-mail or fax. For any questions or concerns, please email Us at the following address: support@tierrasagrada.co.